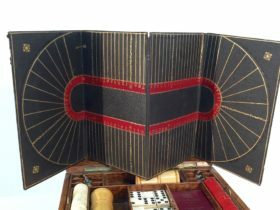 This English game compendium is simply sublime. 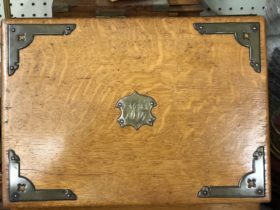 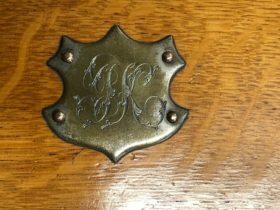 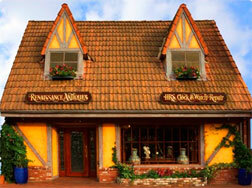 The case is exceptionally crafted of oak with brass banding, and fitted with tooled leather. 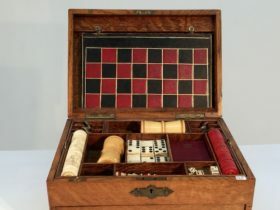 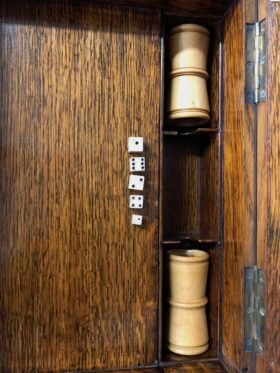 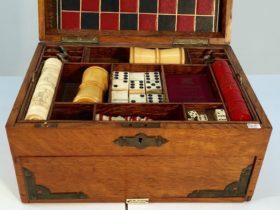 This compendium features gaming board with pieces for a horse race, chess, checkers, dominoes and poker chips. 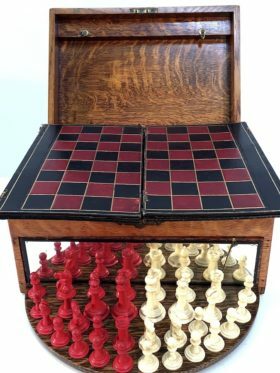 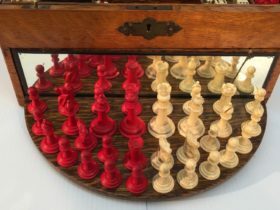 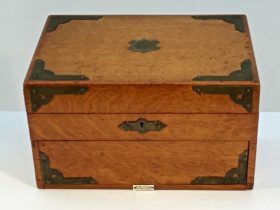 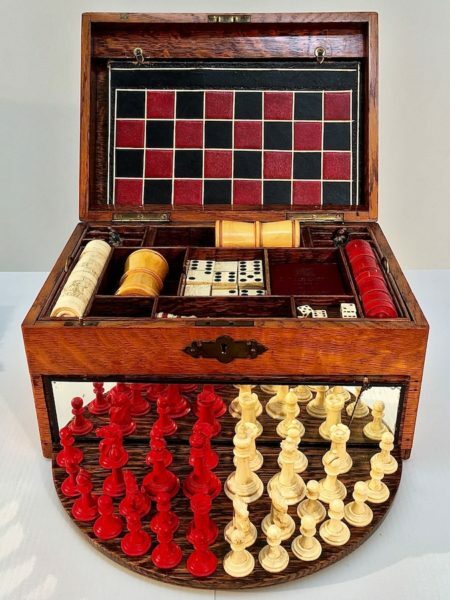 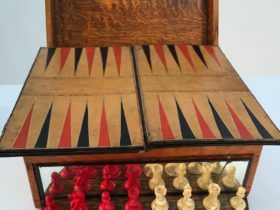 The bottom swivels open to reveal a secret compartment containing chess pieces.